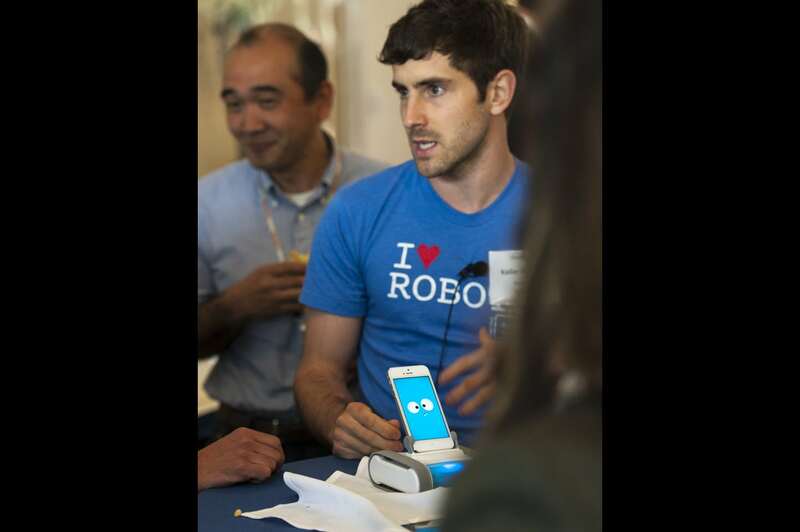 A high-powered group confers before Xconomy's April 11 forum, Robots Remake the Workplace. 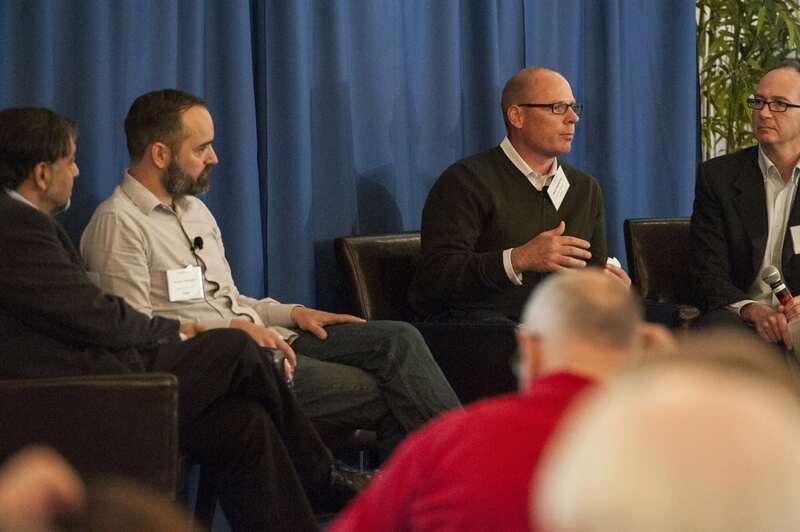 Left to right: Kelton Temby of InTouch Health, Gordon Bell of Microsoft, Colin Angle of iRobot (appearing via telepresence on the RP-VITA robot), Rod Brooks of Rethink Robotics, and Yulun Wang of InTouch Health. 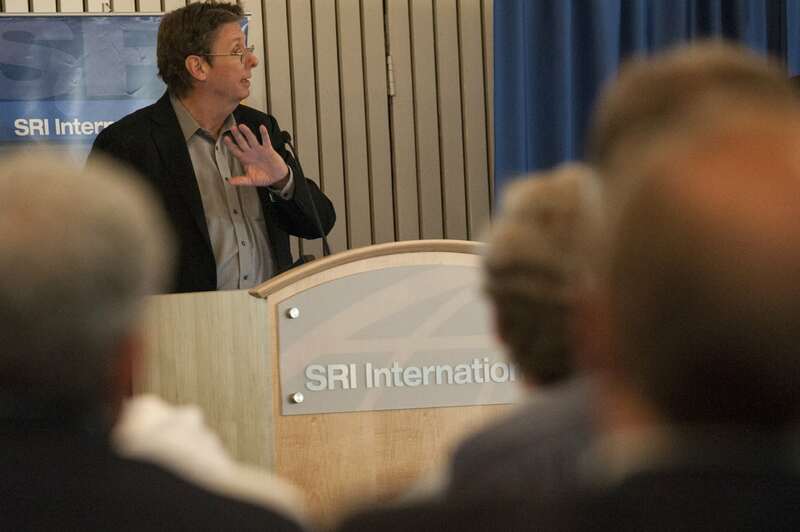 Curt Carlson, president and CEO of SRI International, welcomed attendees to the forum. Rodney Brooks, chief technology officer at Boston-based Rethink Robotics, explained how human workers can train Rethink's flagship bot, Baxter, to execute pick-and-place operations simply by moving its limbs to the proper positions. Will a Robot Steal Your Job? 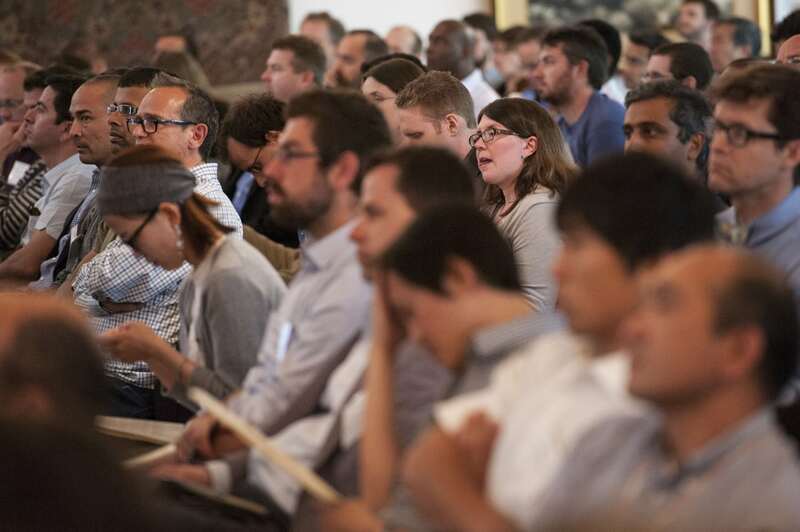 In an Oxford-style debate session, participants debated the motion "In the long run, robotics isn't taking jobs away---it's adding them." 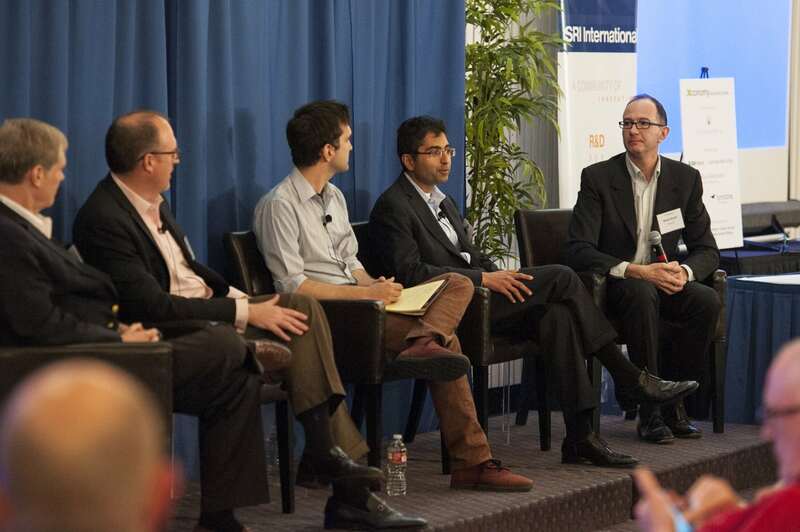 Left to right: Vivek Wadhwa of Singularity University, Aaron Edsinger of Redwood Robotics, Rich Mahoney of SRI International, and Wade Roush of Xconomy. 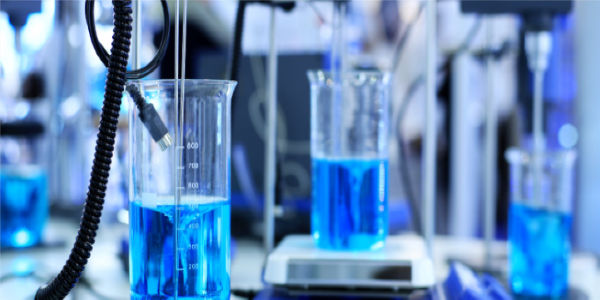 Aethon founder and CEO Aldo Zini explained how his company conceived and built a system of autonomous mobile robots that ferry medicines, food, waste, and other materials around hospitals. 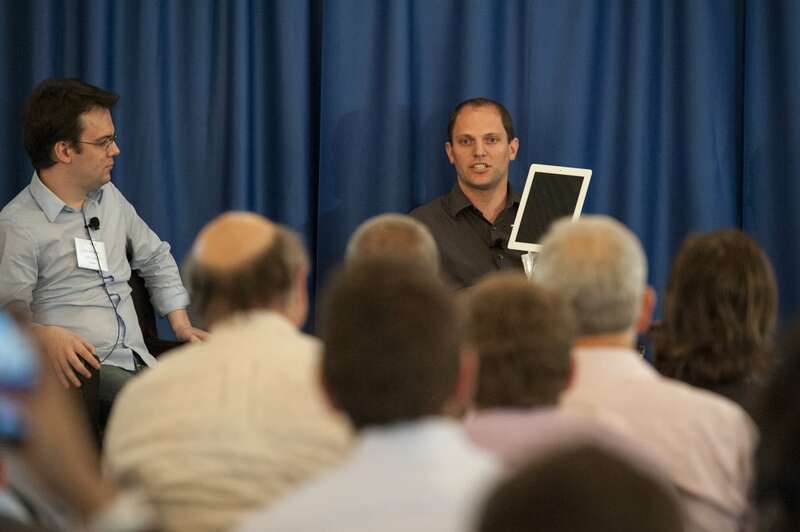 In a panel on robotic telepresence devices, Marcus Rosenthal of Revolve Robotics (right) showed the company's Kubi robotic iPad stand. Left: David McCann of Double Robotics. 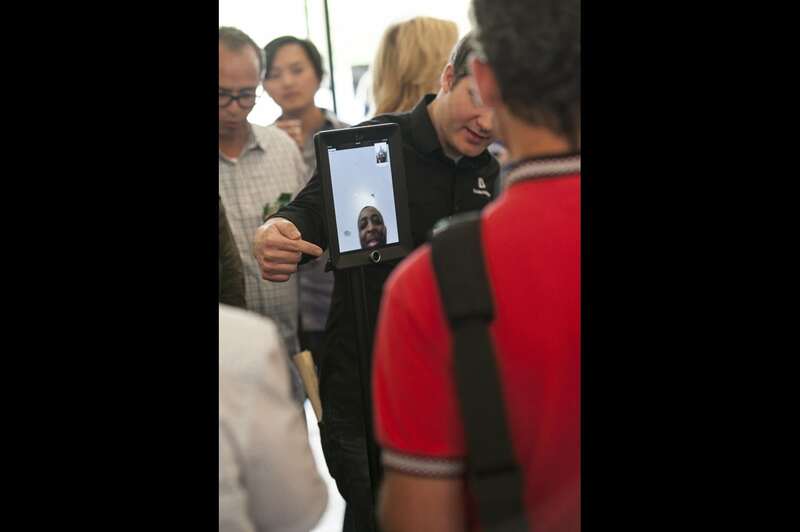 Romotive founder and CEO Keller Rinaudo, who participated in the telepresence panel, shows off Romotive's flagship bot Romo, a motorized iPhone platform. 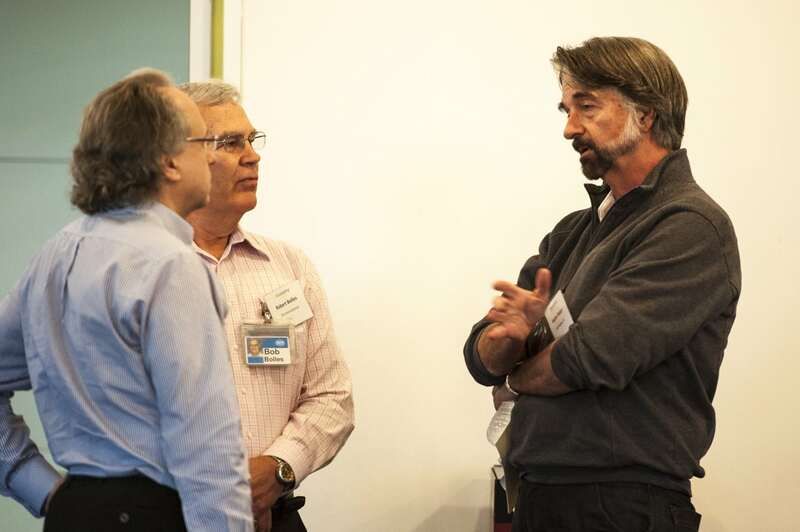 Rod Brooks from Rethink Robotics (left) speaks with Robert Bolles of SRI (center) and Harlyn Baker of EPIImaging (right). Rich Mahoney of SRI speaks with Aldo Zini of Aethon and Alice Resnick of SRI. 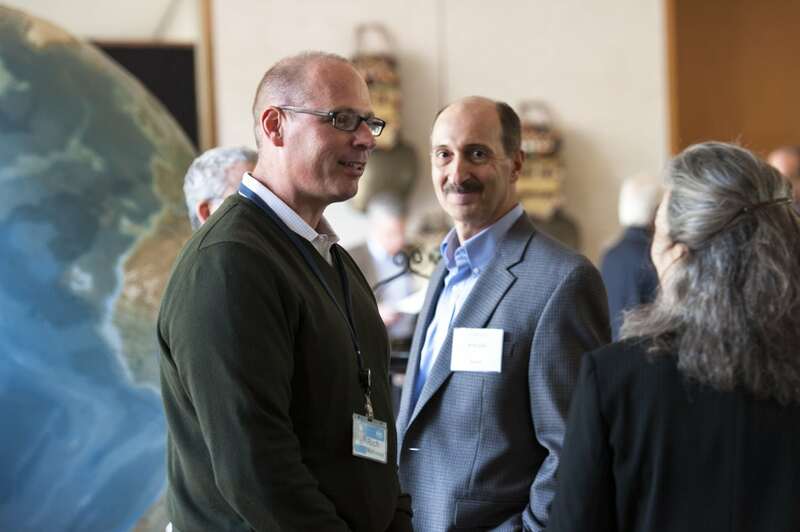 Peter Marcotullio of SRI (left) speaks with Anthony Jules, chief operating officer at Redwood Robotics. 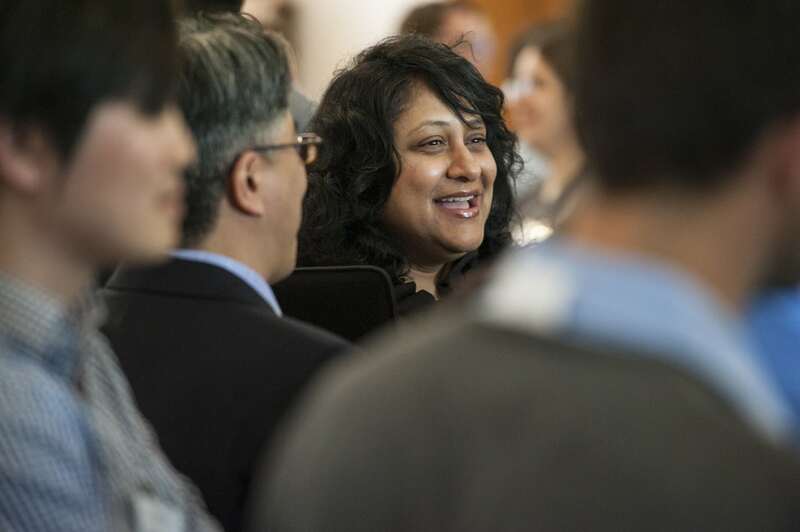 Center: Sonal Chokshi, senior opinion editor at Wired. 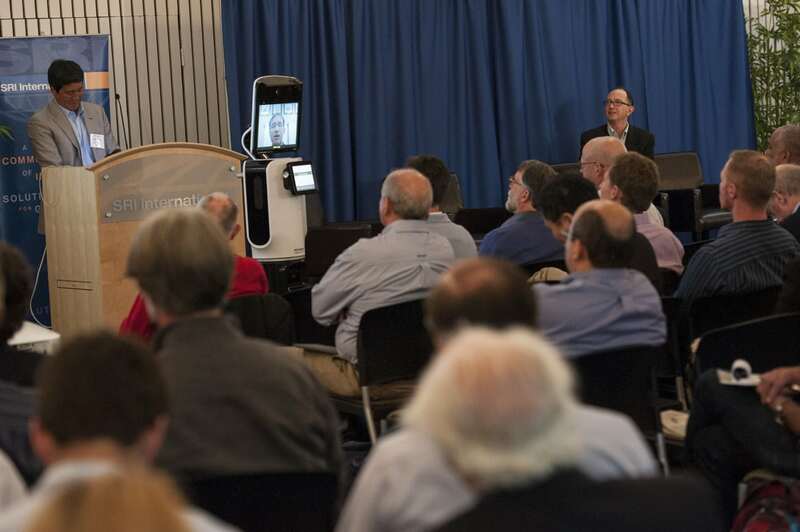 An employee at Revolve Robotics watched the proceedings via telepresence. 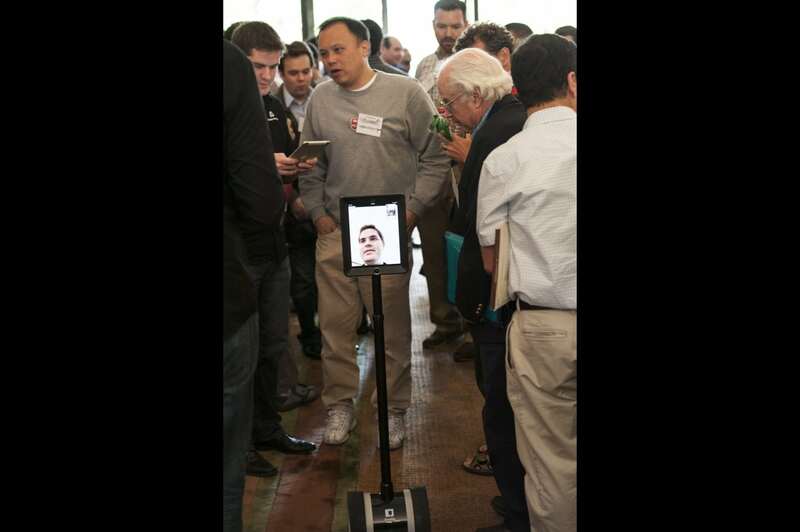 Attendees mingle with the Double mobile telepresence bot from Double Robotics. 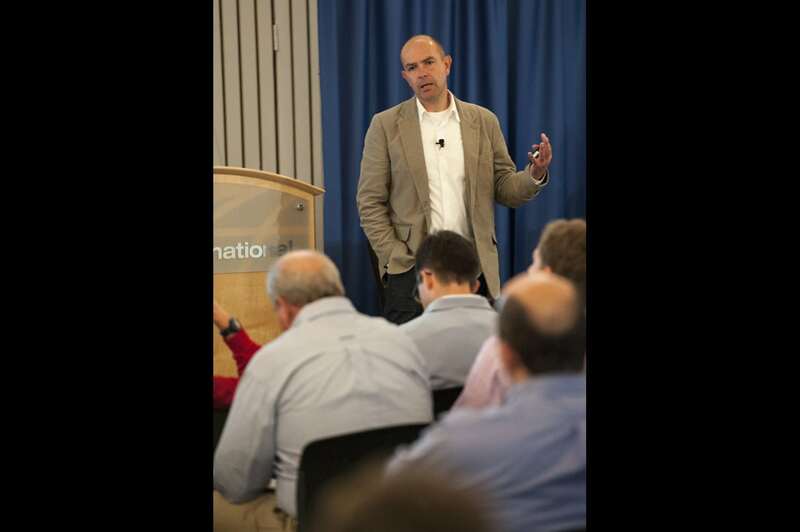 Chris Anderson, CEO of 3D Robotics and former editor of Wired, spoke about his company's drone-aircraft business and other innovations enabled by the mobile revolution and the resulting drastic drop in electronics prices. A capacity crowd takes in Anderson's talk. An expert panel talked about the emergence of robots in unusual workplaces such as hair restoration clinics, horticultural facilities, movie studios, and solar farms. Left to right: Jim McCollum of Restoration Robotics, John Kawola of Harvest Automation, Ian Sherman of Bot & Dolly, Wasiq Bokhari of Qbotix, and Wade Roush of Xconomy. 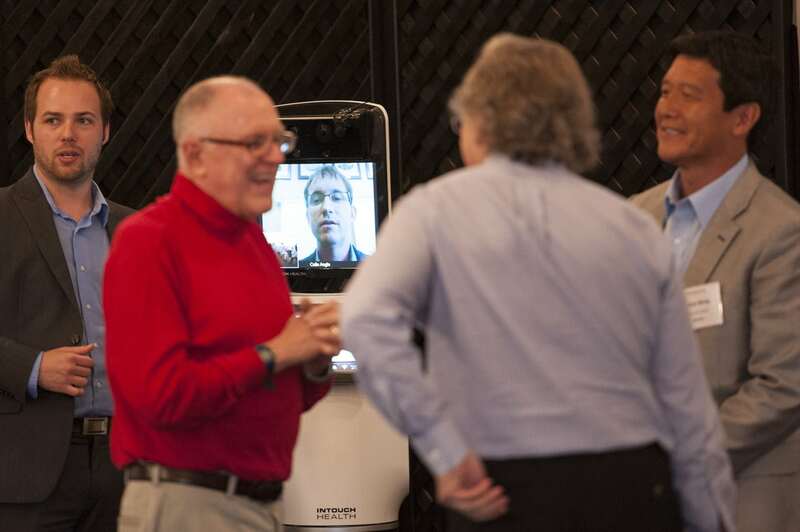 In his first-ever speech via telepresence, iRobot CEO Colin Angle talked about his company's collaboration with InTouch Health to build the RP-VITA robot, which lets physicians extend their physical presence to far-away clinics and hospitals. After Angle's remarks, Yulun Wang (far left), CEO and founder of InTouch Health, took over the presentation. Apparently, these were the droids they were looking for. 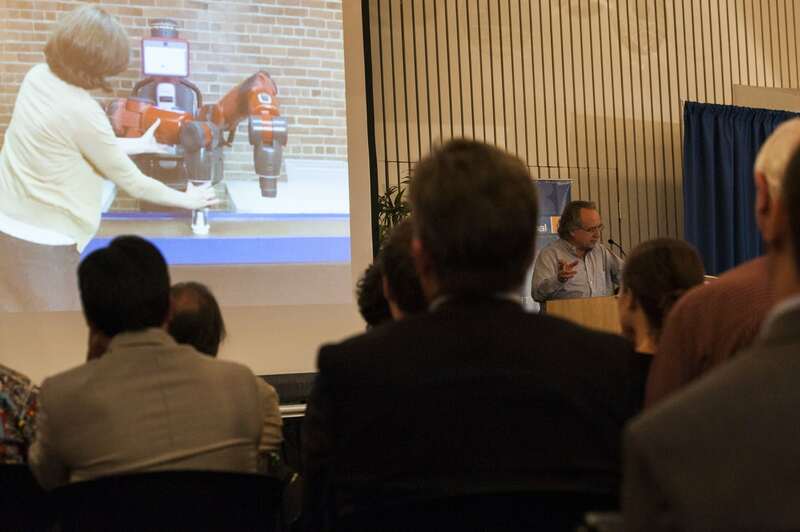 A standing-room-only crowd convened at SRI International last Thursday to meet the robots and robot makers being highlighted at Xconomy’s second annual Silicon Valley robotics forum, Robots Remake the Workplace. 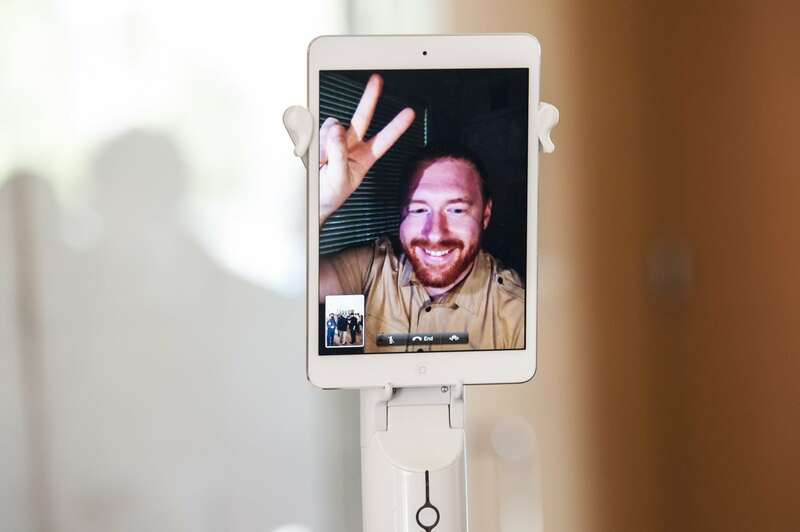 The bots in attendance ranged from the fairly tall—namely RP-VITA, a human-sized hospital telepresence robot built by InTouch Health and iRobot—to the very short, in the form of Romo, a motorized iPhone platform built by Romotive. 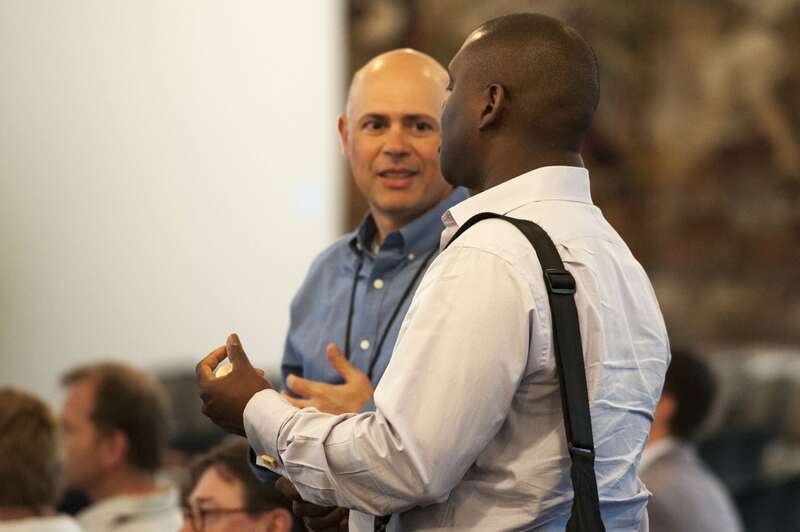 Also on hand were some human luminaries like Rod Brooks of Rethink Robotics, Aldo Zini of Aethon, Colin Angle of iRobot, Yulun Wang of InTouch Health, and Chris Anderson of 3D Robotics. 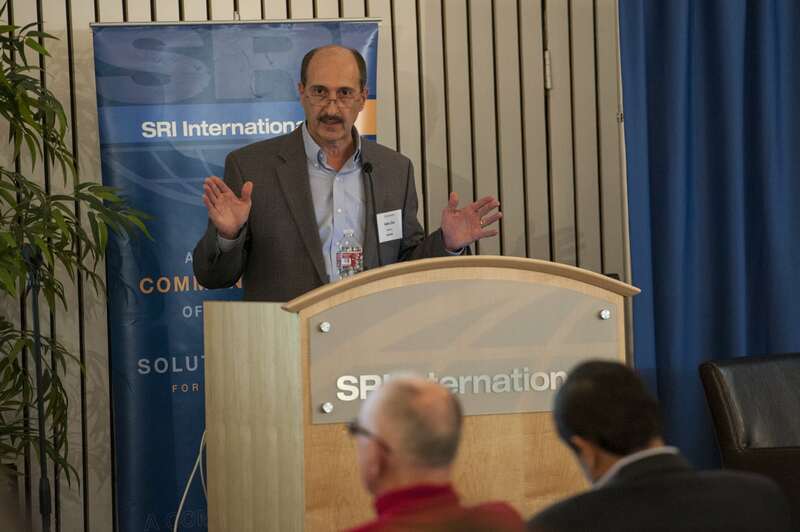 This is a also good time to convey our thanks to our event host SRI International, our event sponsor Silicon Valley Bank, and our media partner RoboBusiness Leadership Summit 2013. We also had help promoting the event from Silicon Valley Robotics and National Robotics Week. Your ability to share Information is a talent and very appreciated.Thanks for another Timely Post.